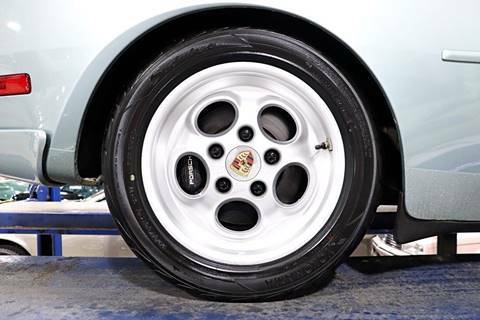 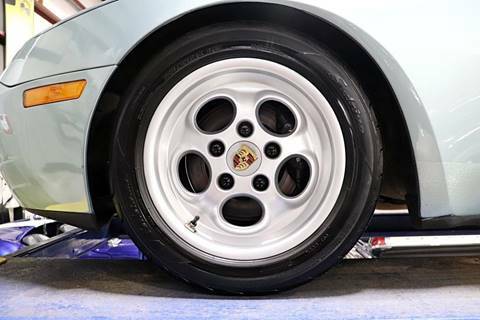 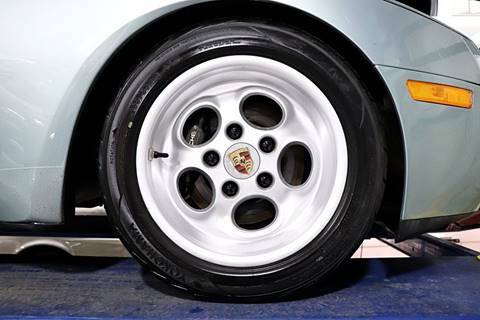 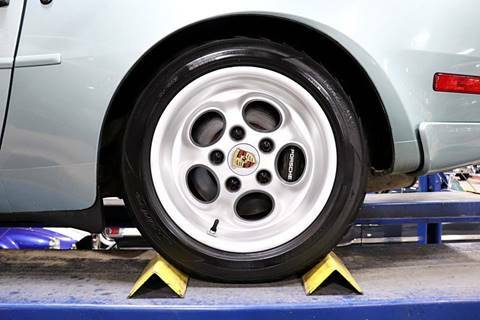 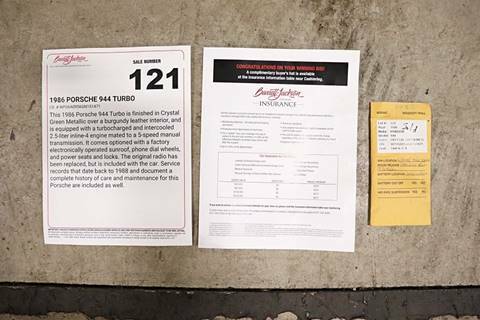 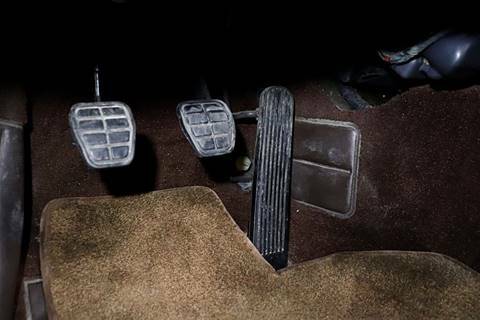 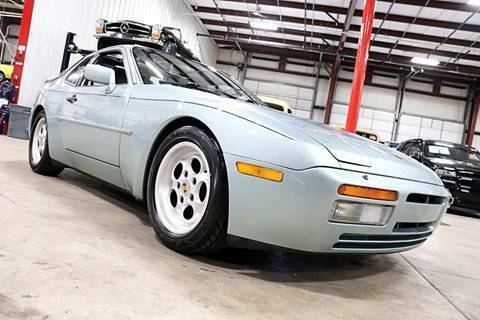 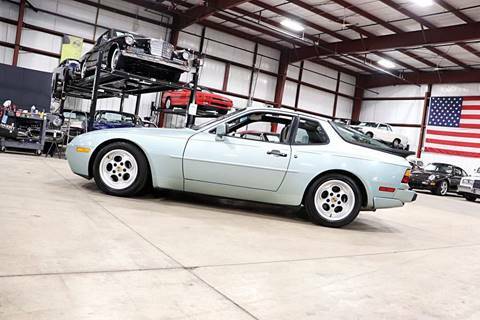 Porsches 944 instantly commanded the respect of the automotive community as it earned the title as the best handling car in America by Car and Driver Magazine in a Summer test comparison review against heavy weight opponents including: Ferrari 308 Quattovalvole, Audi Coupe Quattro, Lotus Esprit, Porsche 911 Carrera, 928s. 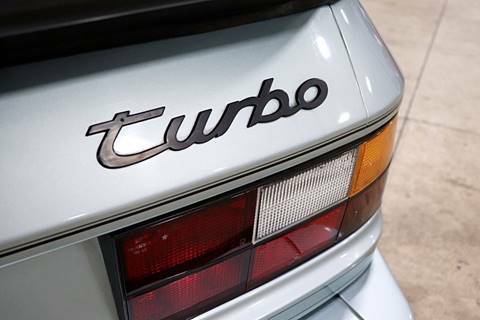 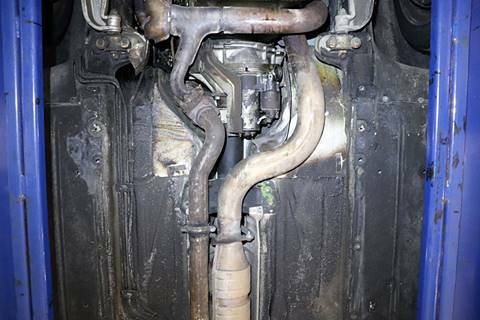 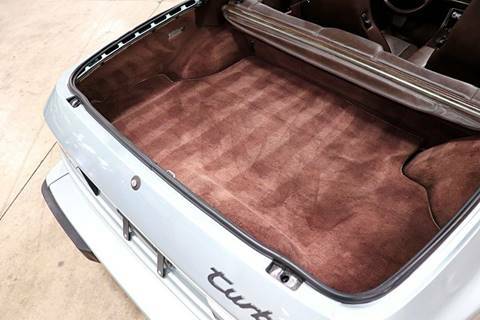 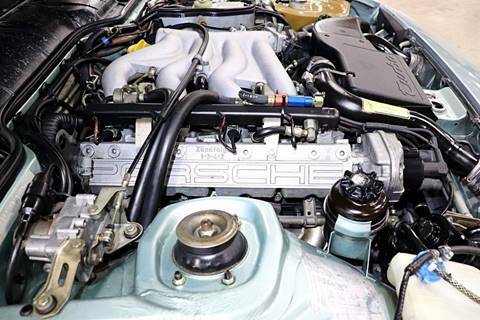 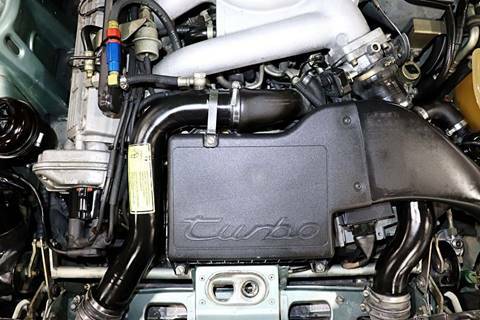 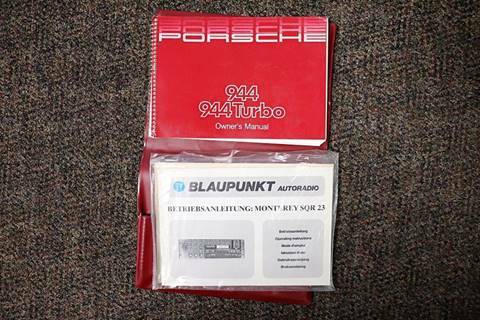 Shortly after, Porsche integrated its turbo charged technology to its 944 and created a front engine marvel. 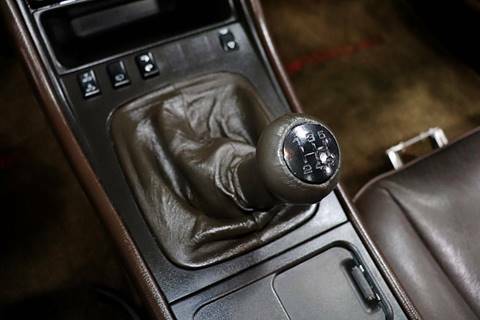 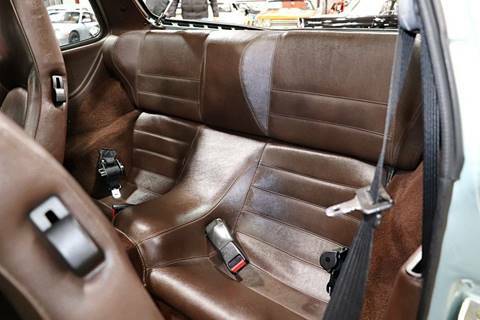 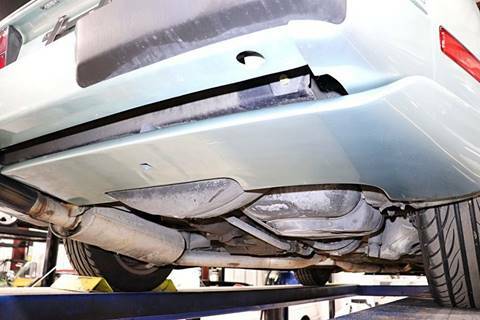 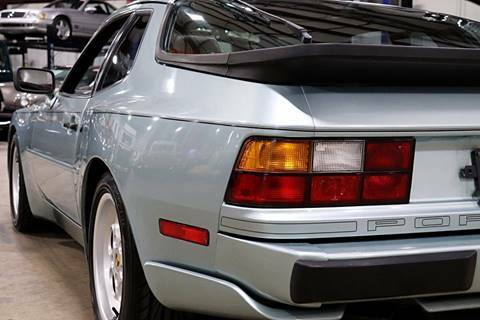 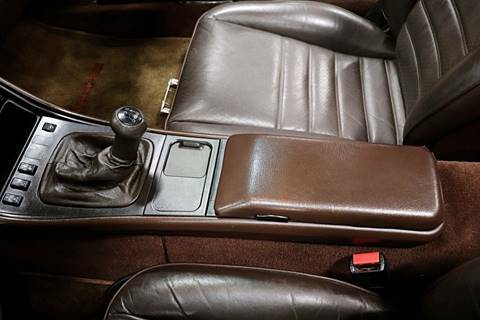 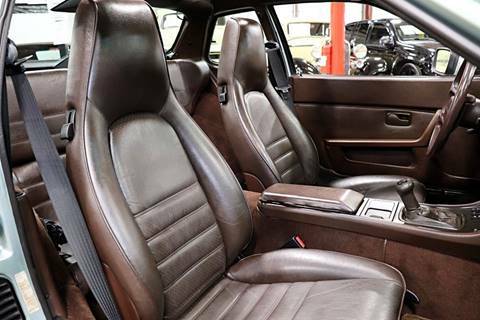 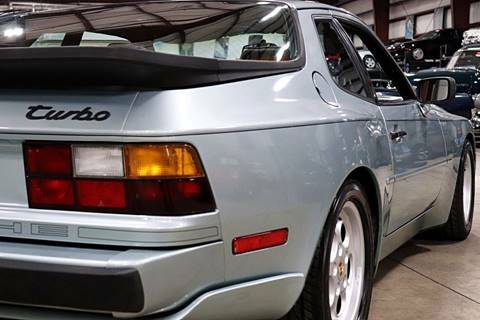 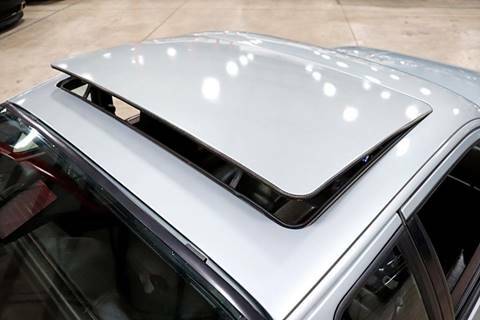 The 944 Turbo was fast, balance and demonstrated handling capabilities that remained the envy of sports car manufactures around the world. 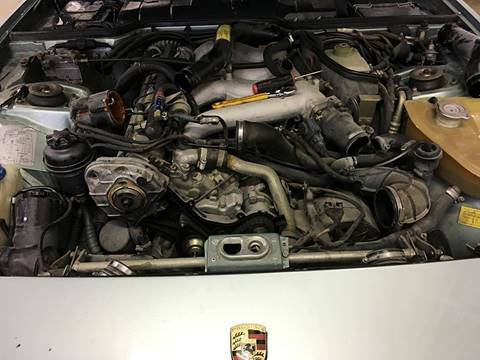 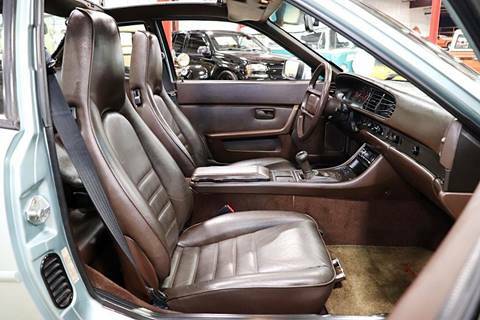 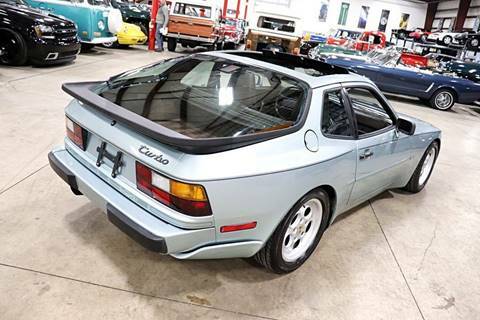 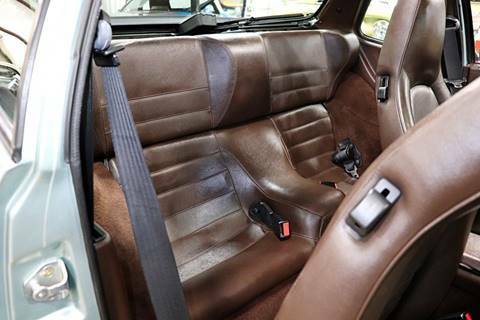 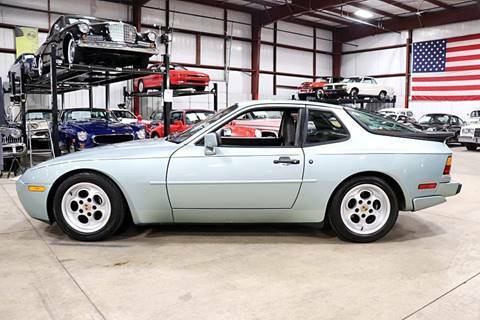 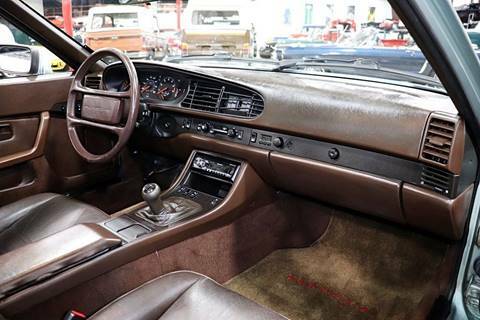 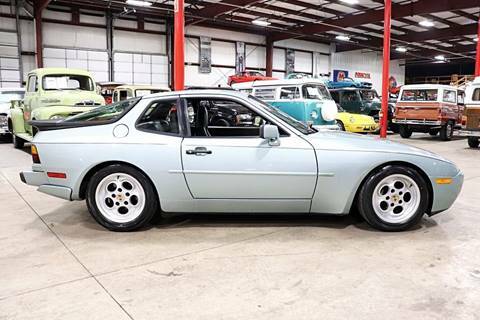 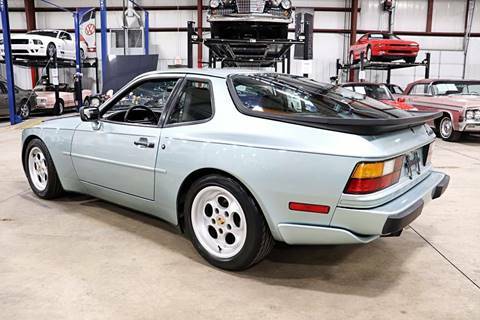 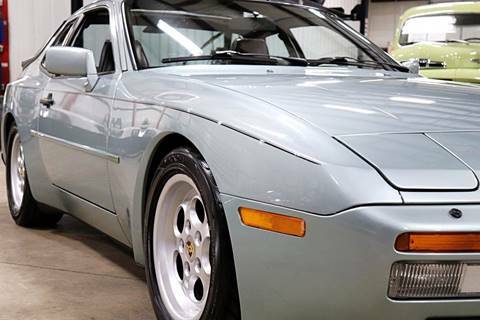 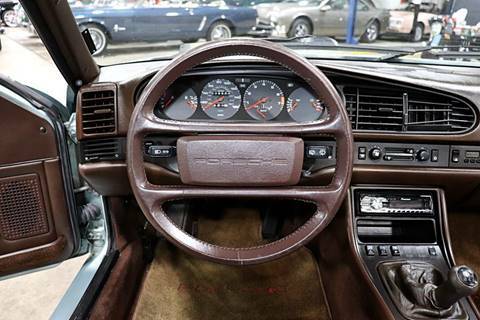 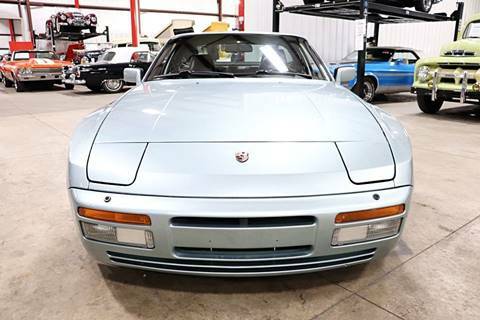 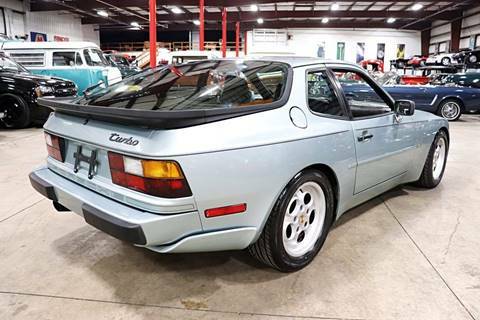 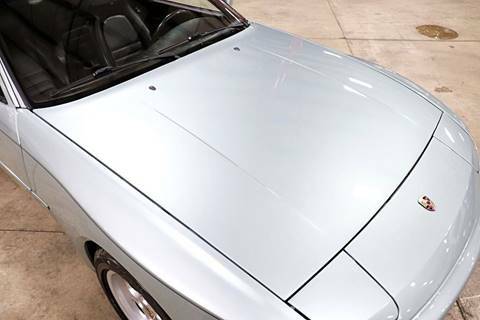 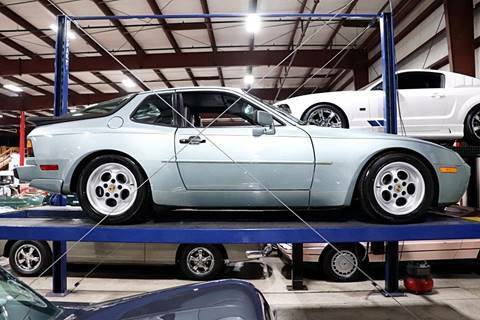 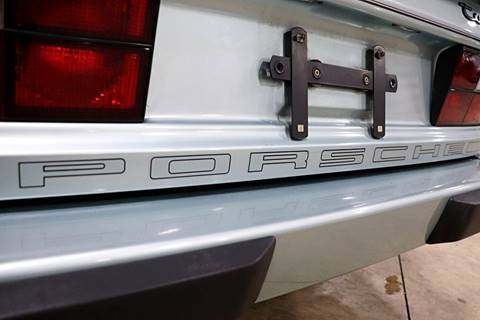 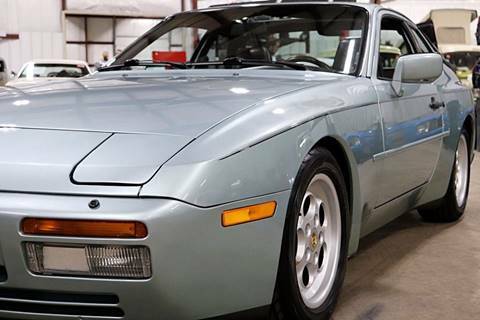 GR auto Gallery is pleased to offer this excellent, fully serviced 1986 Porsche 944 Turbo. 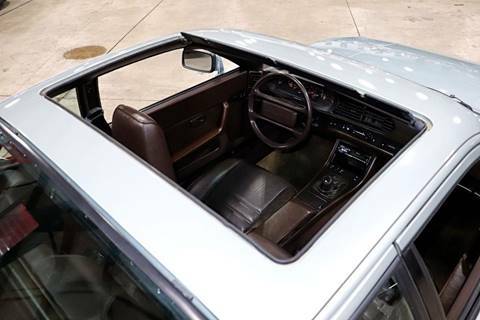 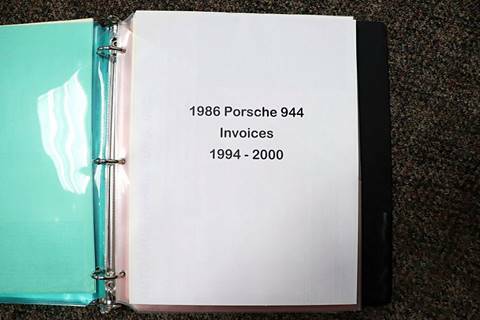 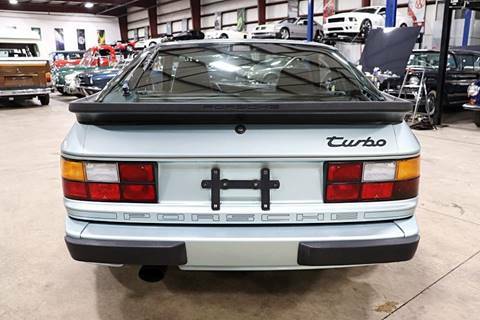 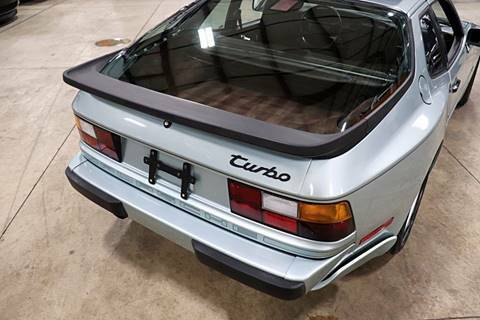 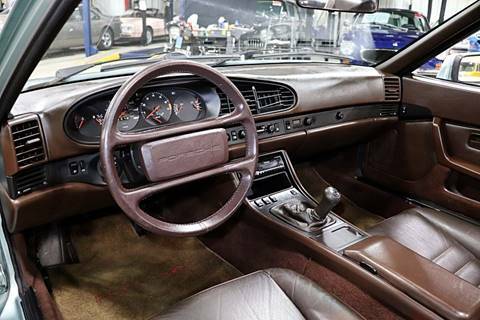 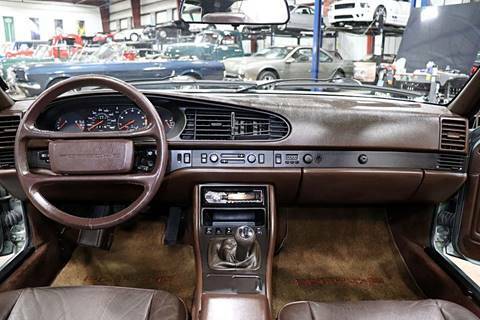 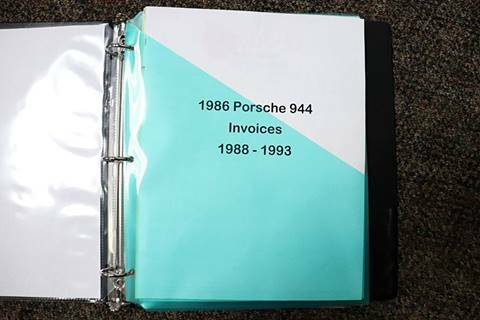 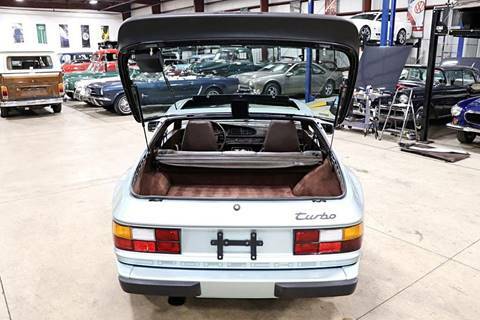 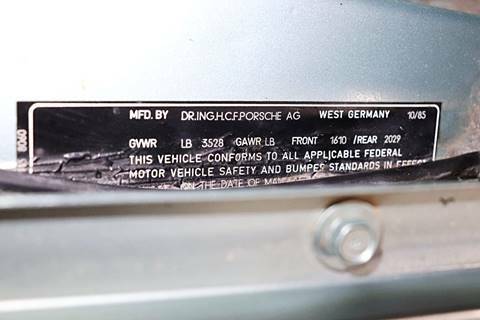 This 951 Turbo was sold new by Autohaus Volkswagen Porsche of Lancaster, PA on November 22 1985. 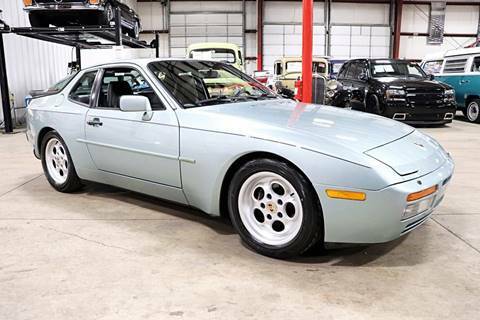 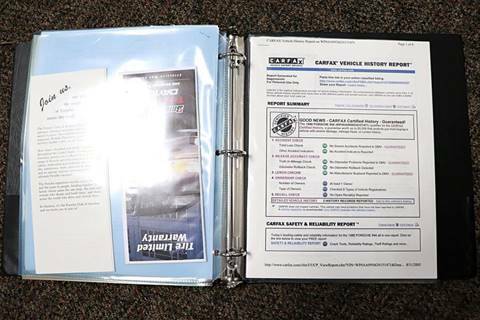 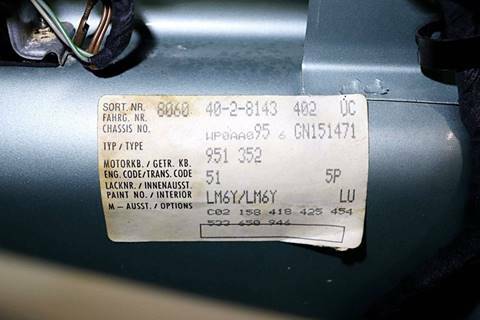 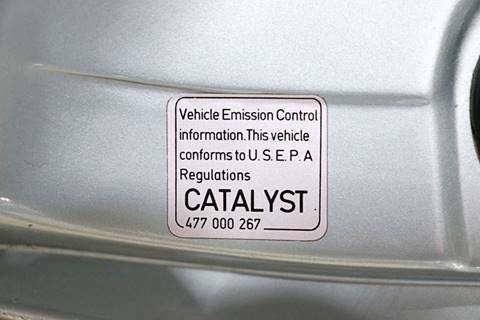 The car was delivered dressed in LM6Y, Crystal Green Metallic exterior paint over Brown leather interior. 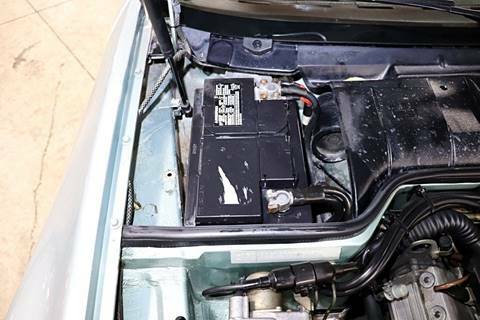 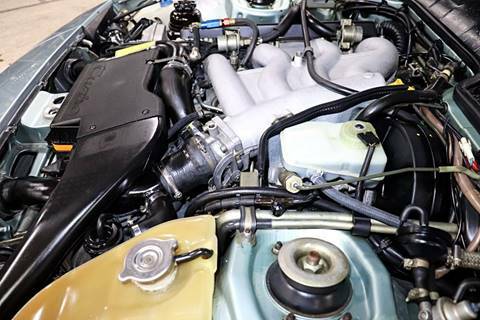 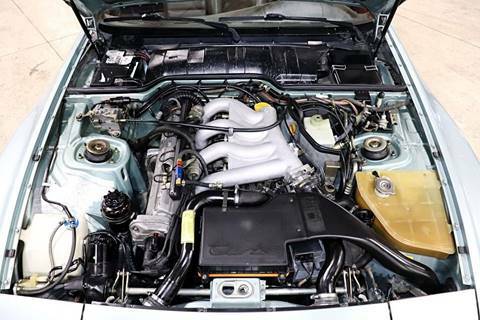 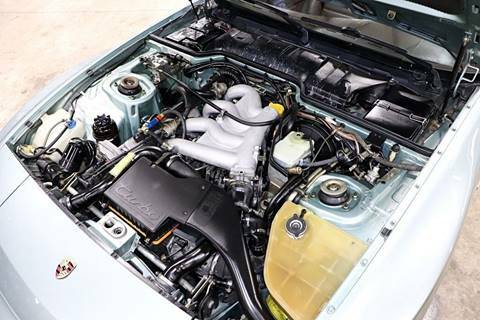 The car is powered by its turbocharged and intercooled 2.5 liter inline 4 cylinder engine mated to a 5 speed manual transmission. 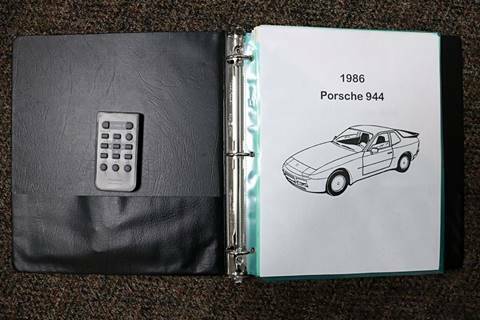 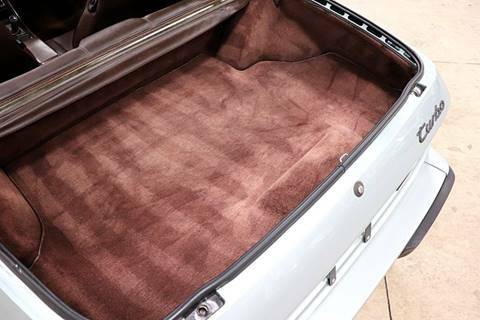 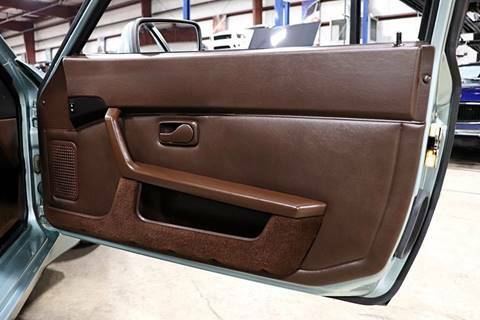 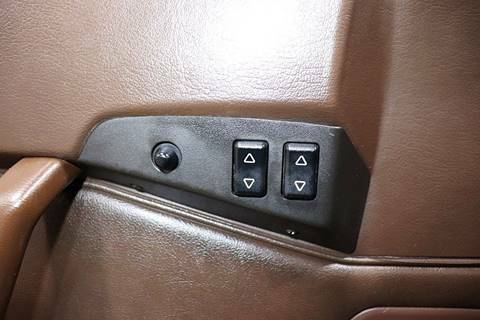 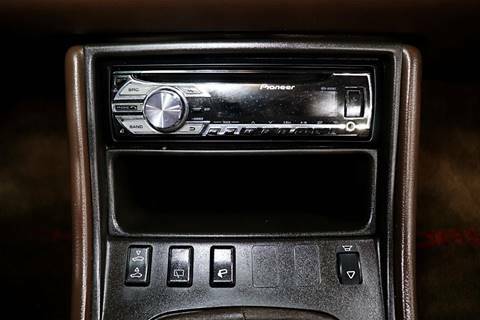 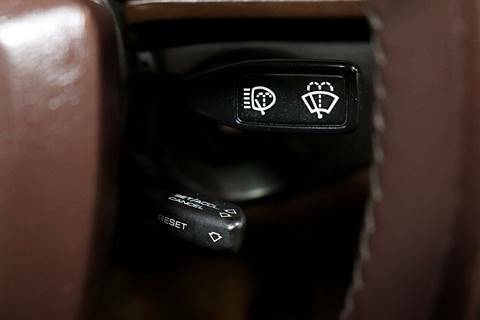 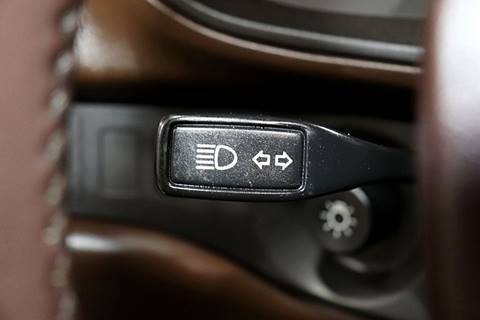 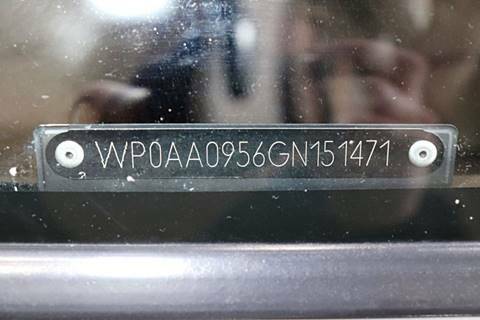 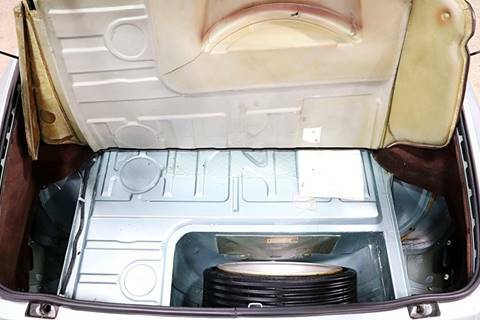 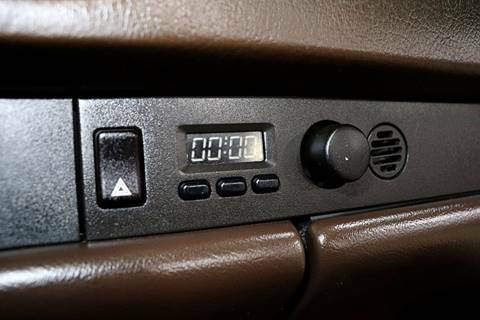 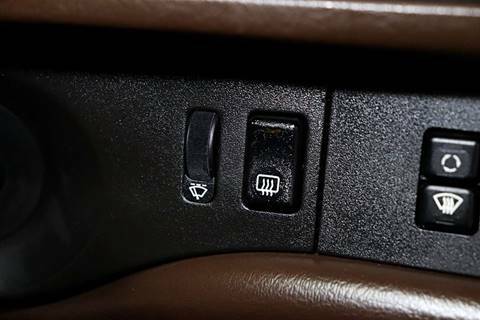 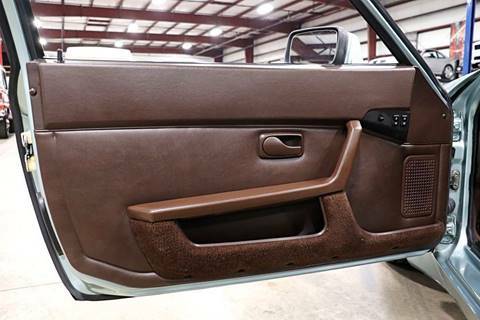 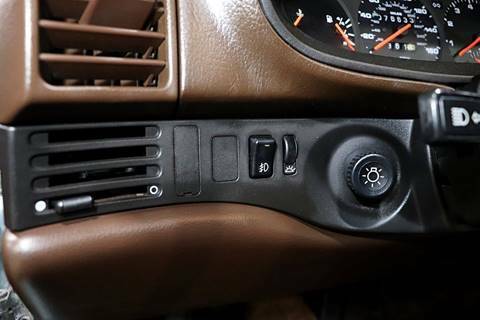 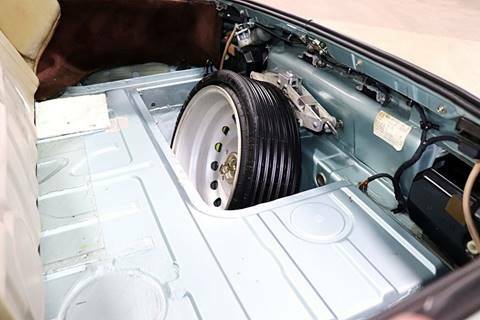 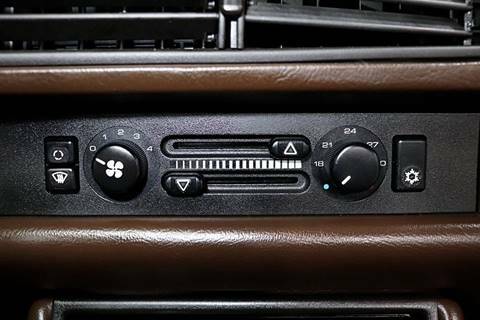 The car comes optioned with factory electronically operated sunroof, “phone dial” wheels, leather front seats, power seats and locks. 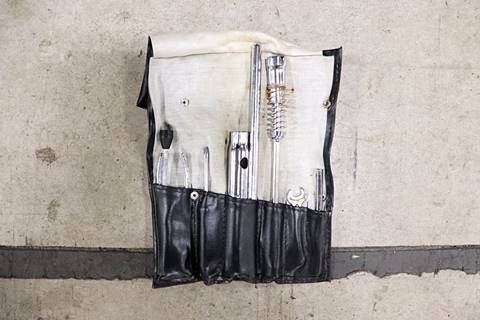 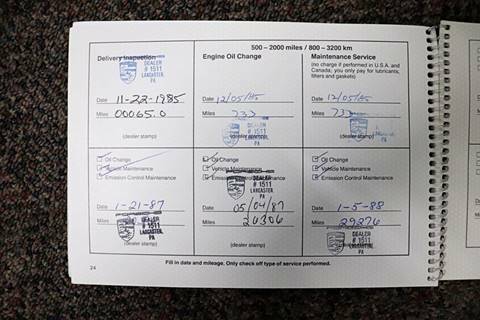 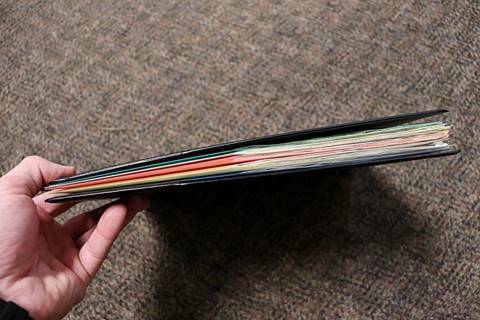 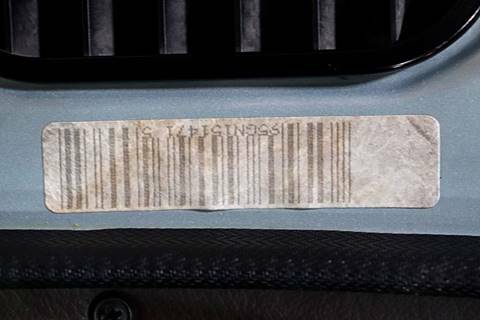 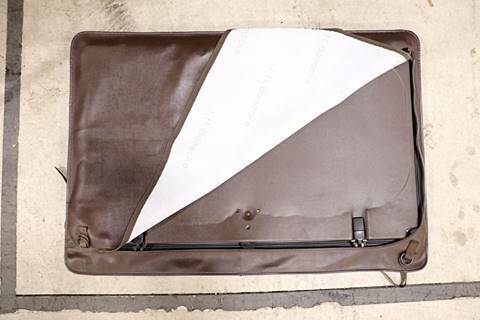 The extensive service history dates all the way back to new and indicates 4 owner enthusiasts. 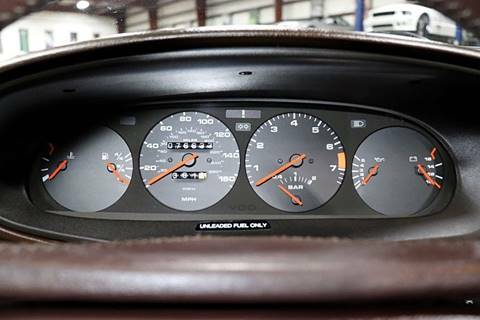 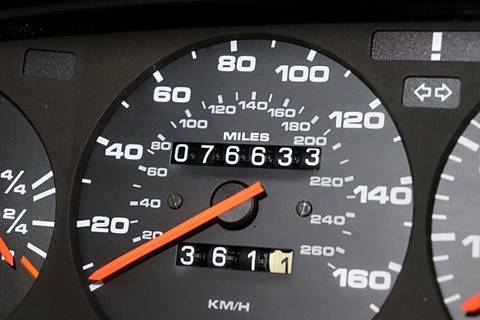 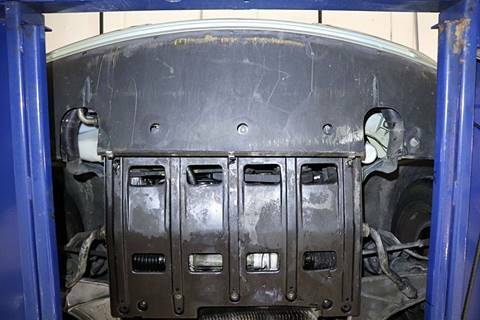 Today at 76633 original miles, the car remains in remarkable condition throughout. 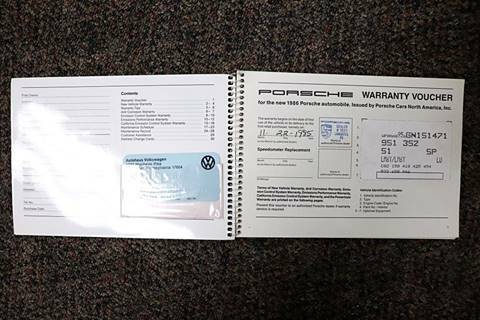 Important details included: Both option stickers (one in the original maintenance book and one in the spare tire well), Vin stickers on all panels, original collapsible spare with pump (never used) original jack, original removable sun roof with carrier bag, original owners manual, original warranty and maintenance book with early dealer service stamps, original portfolio, original selling dealer card, complete and cataloged service history, complete original tool roll, etc. 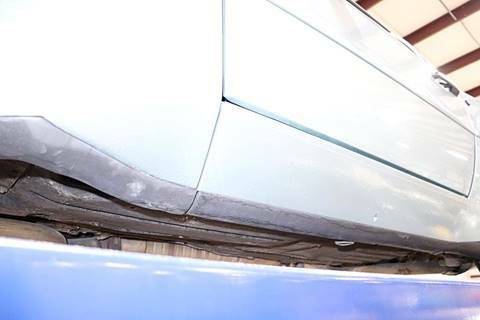 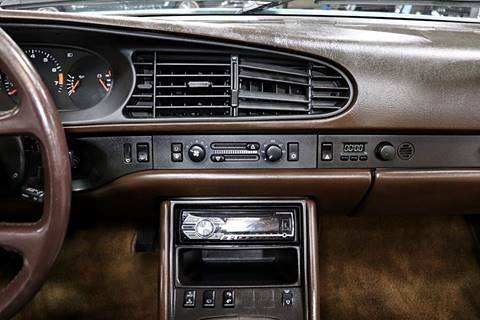 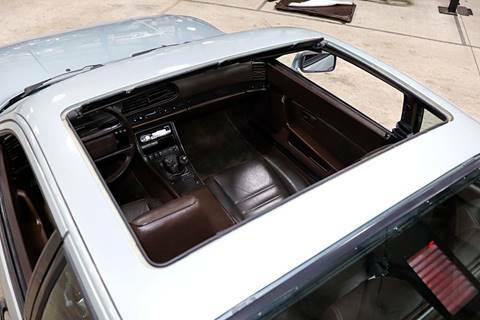 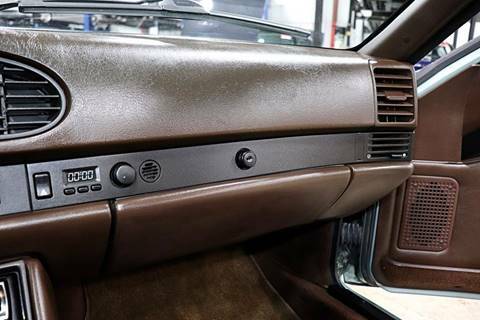 Cosmetically, the Crystal Green Metallic paint shows excellent in all areas, the interior remains completely original with the exception of an upgraded stereo, it shows excellent wearing the perfect amount of patina, the wheels show excellent as well and the engine area is clean and detailed. 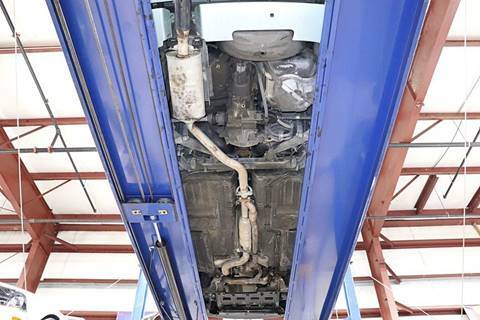 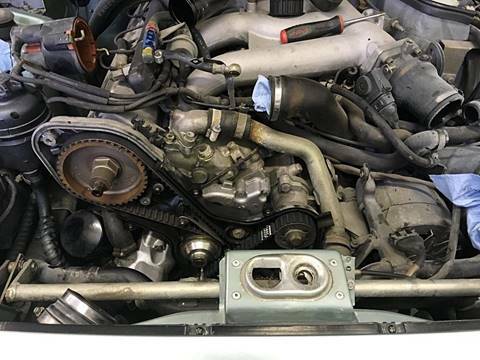 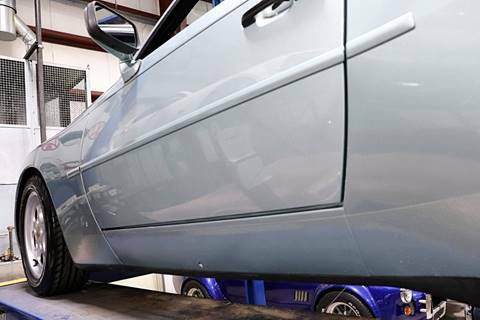 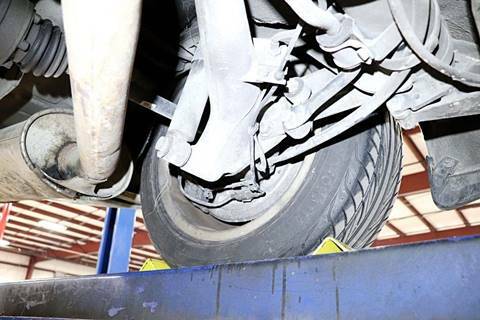 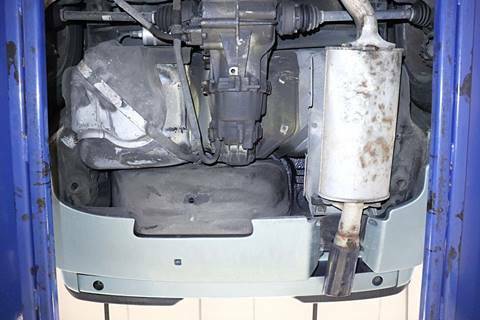 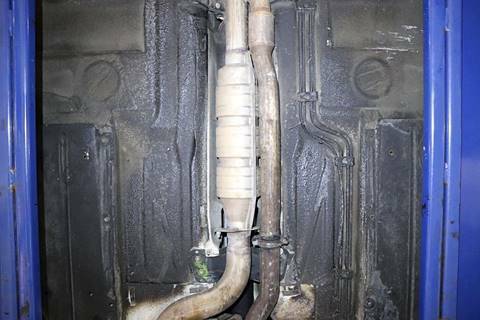 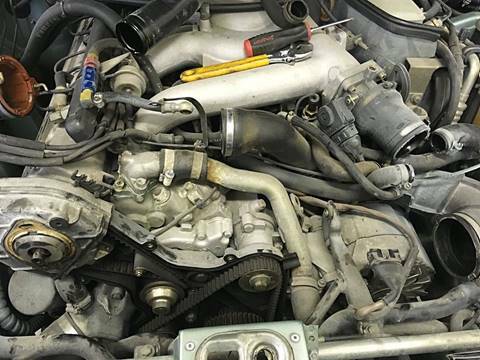 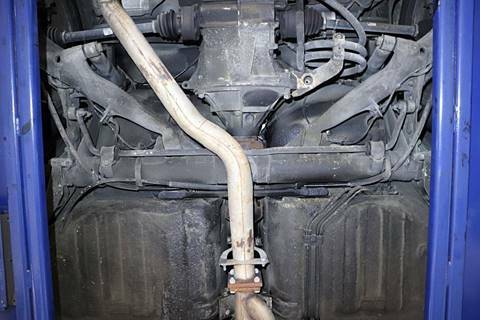 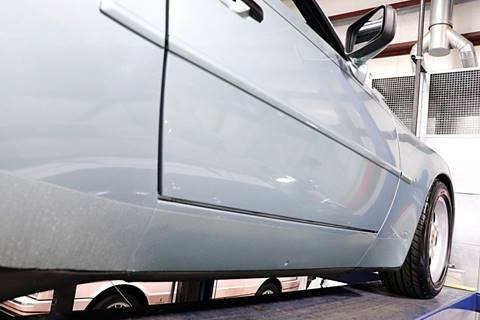 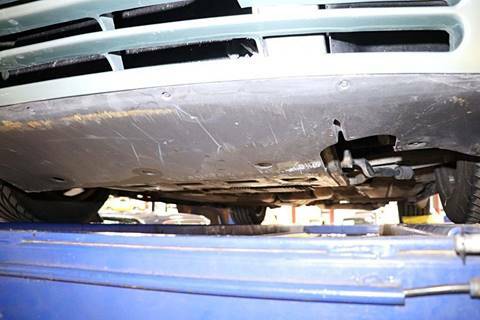 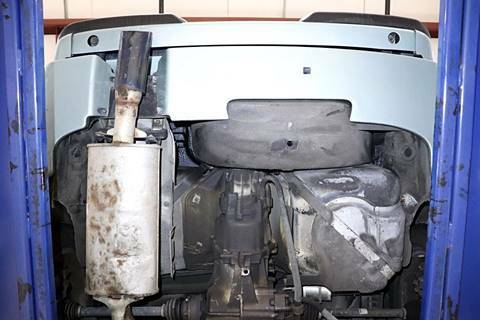 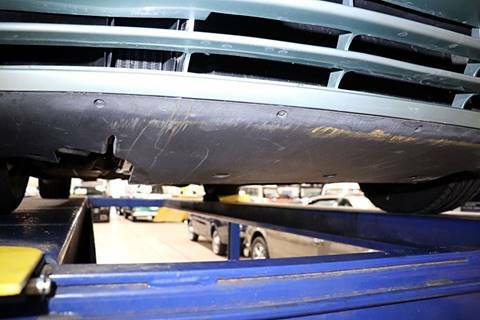 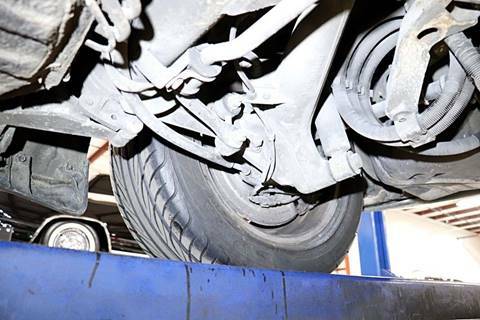 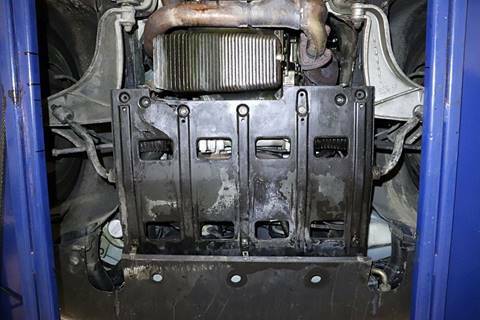 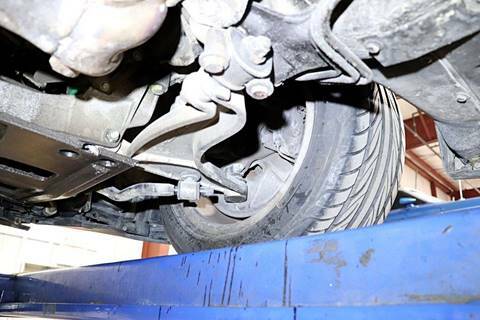 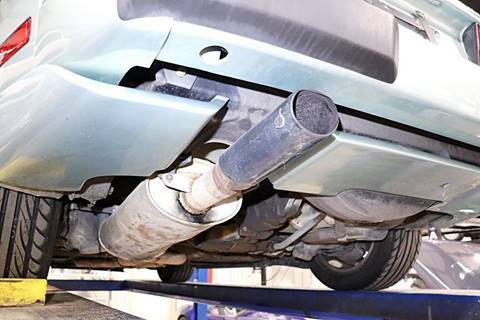 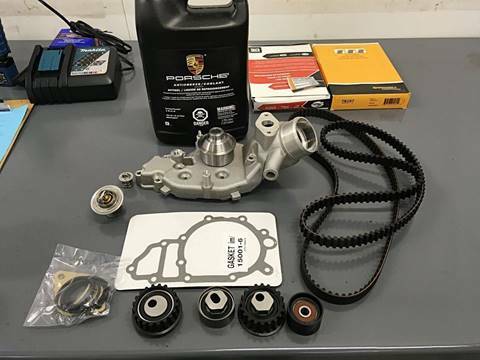 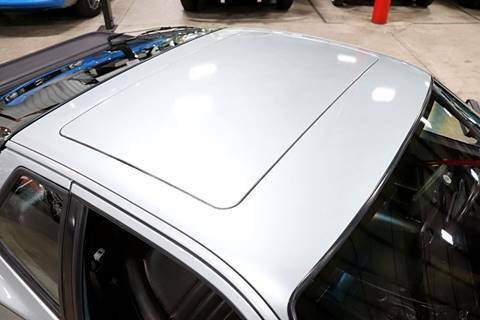 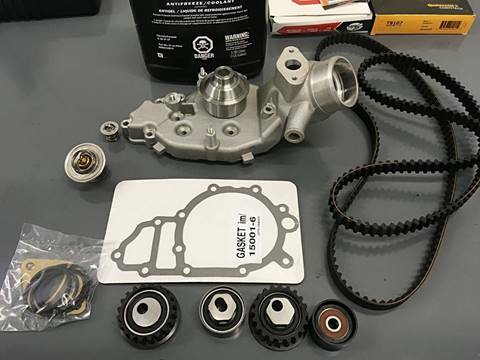 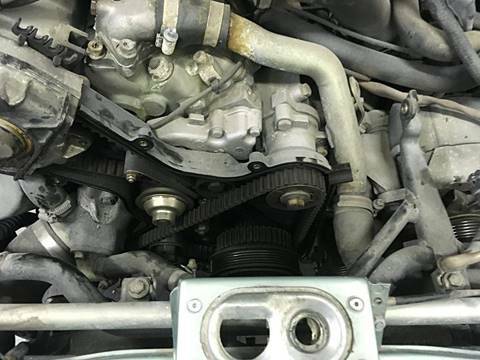 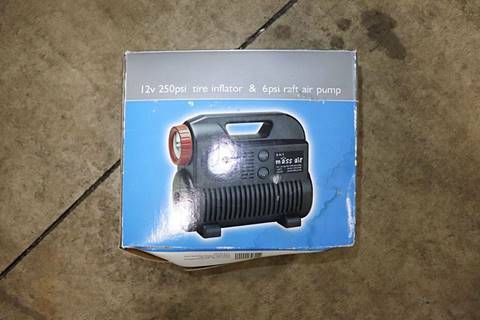 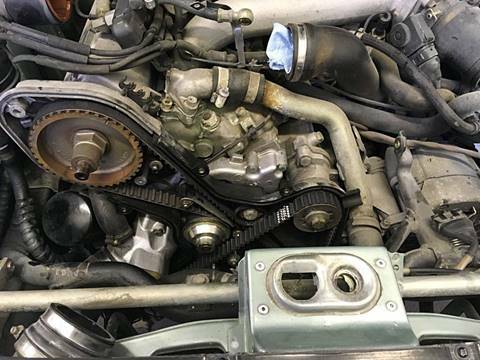 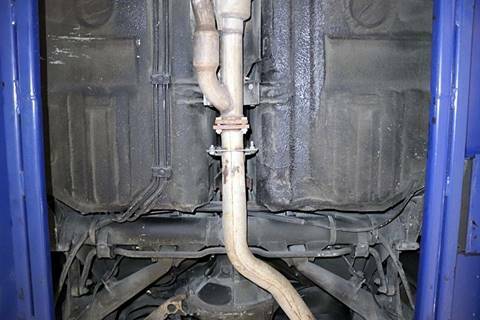 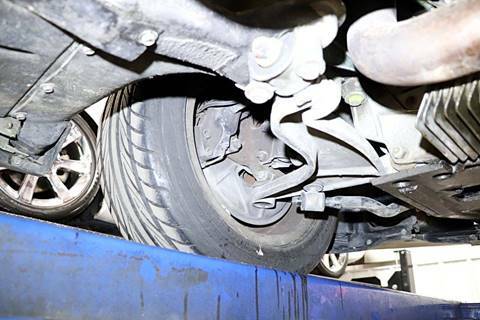 Most recent service does include a complete ECS Tuning timing belt and water pump kit which includes: new timing belt, water pump, timing belt tensioner, belt tensioner roller, balance shaft belt, belt idler roller with protection cap, thermostat insert with proper gasket, revised water pump housing and impeller. 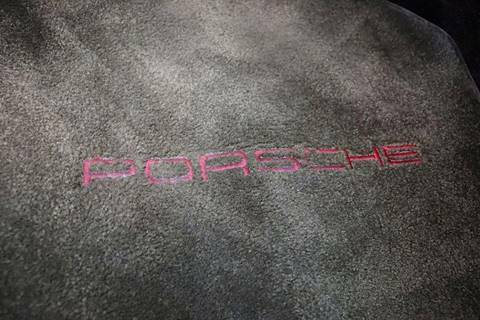 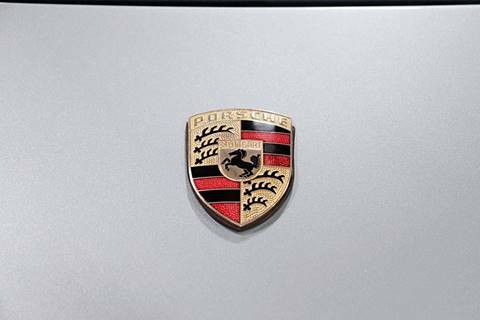 It is no secret that the Porsche Marque has gained massive popularity over the last number of years and values continue to rise. 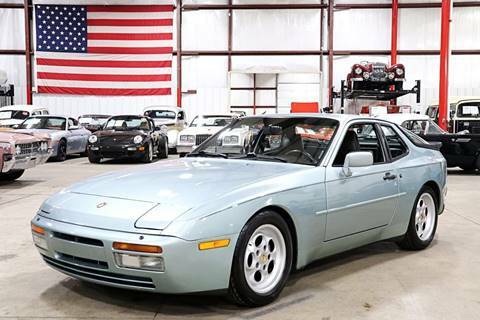 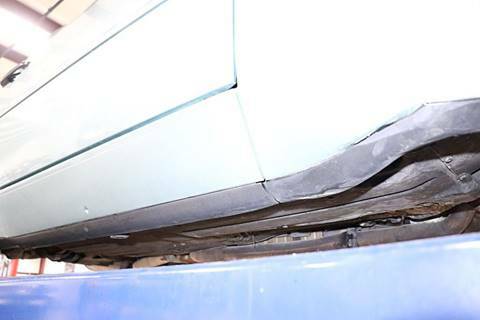 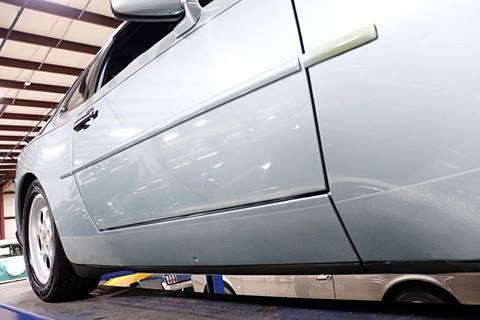 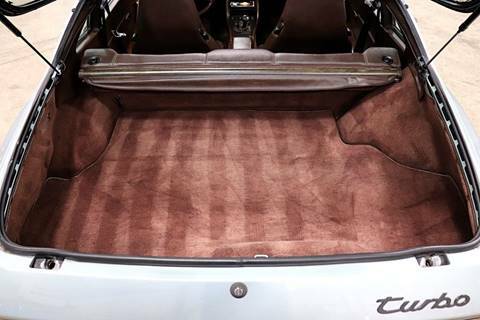 The 944, with all of its global recognition, is now poised to sharply increase in value. 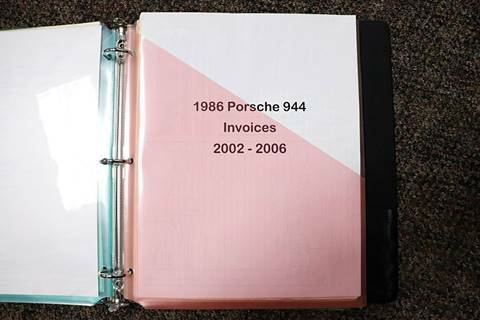 Quality examples as the offered here remain in high demand. 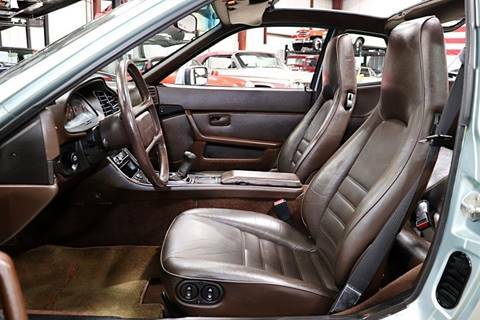 These cars demand to be driven and enjoyed and the car offered here has much to offer any driver enthusiast.